We have the experience to make your tour memorable. We offer porfessional guided tours to individuals, small and big groups. Post the 1994 Democratic Elections, Soweto has become a place of vibrancy, friendship and contrast. The 2 hour cycling and 4 hour cycling slots are available. Return transport is provided to the Cycling venue. We combine Soweto and Apartheid museum to learn more about the way of life, Political struggle in Soweto and segregation in South Africa before Democracy. Have an opportunity to compare the City life and Townships life. We combine Soweto and Gold Reef City mine tour to give guests an opportunity to learn about the way of life in Soweto including History and the discovery of Gold in Johannesburg. SAB World of beer offers a fun, creative and informative tour. Beer tasting and lunch included. We combine these three tours in one day, and work with a tight schedule, to accommodate guest who need knowledge about these attractions, but do not have enough time to do the normal combination of two tours on the first day and the other tour the following day. One of the World Heritage sides in South Africa. We do the full day tour of Sterkfontein Caves and Maropeng Visitor Centre. You have an Option to do either Sterkfontein Caves half day OR Maropeng Visitor Centre half day. Visit the Economic Hub of Southern Africa. Learn how Segregation laws affected the people of South Africa before Democracy. Tour OPTIONS: Gold Museum Tour / Amusement Park Tour / Amusement Park and Gold Museum Tour (Heritage tour). Johannesburg City developed on the discovery of Gold. Use a full day to learn more about the Story of Gold and the City of Johannesburg. We combine Gold Reef City mine tour with Apartheid museum to give guests an opportunity to learn more about the discovery of Gold in Johannesburg and Apartheid policy which Segregated the people of South Africa. SAB World of beer is situated in Johannesburg. It offers a fun, creative and informative tour. Beer tasting and lunch included . 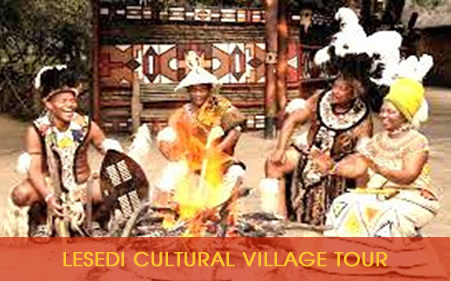 Do this Cultural show tour, and learn more about the History and Culture of Ethnic groups in South Africa. Cullinan diamond mine is the world’s main source for rare Blue diamonds. Surface tours and Underground tours of the working mine are on offer. The administrative Capital of South Africa. We do the tour of the Voortrekker monument, Paul Kruger House and Union building. The best holiday resort in South Africa. Home to the Valley of Waves. Exciting activities such as: Open vehicle guided game drives and interaction with Lion Cubs are on offer. Learn more about the Anatomy of Elephants, Walk Trunk in hand, and Interact with these incredible creatures. Daily game drives are available mornings and Afternoons. Cheetah run is available Tuesdays, Thursdays, Saturdays and Sundays in the morning. The Big game in the Park include: Kruger Lion, White Rhino and Buffalo. Pilanesberg National Park is the fourth largest National Park in South Africa. The Park is a Home for the healthy populations of Lion, Leopard, black and White Rhino, Elephant and Buffalo. Kruger National Park with its incredible wildlife experience, certainly ranks with the best in Africa and is the Flagship of the Country’s National Parks- rated as the ultimate safari experience. Home to the big five. Fly over the beautiful Scenery of Magaliesberg river valley. Expect an excellent African experience in the Country, one that provides warmth, depth and insight into South Africa’s colorful diversity of cultures. The fourth largest National Park in South Africa. It offers the ideal opportunity to view “Africa’s Big Five” The park is a Home for the healthy populations of Lion, Leopard, black and White Rhino, Elephant and Buffalo. Our tours are conducted by Professional experienced Tour guides. We cater for individuals, Leisure and Corporate groups. Where possible, we can Tailor made Day tours to suit your needs and interests. We pick up and drop off at your address around Johannesburg, Johannesburg Central, South, North, Sandton, Rosebank, Fourways, Roodepoort, Alberton, Germiston, O R Tambo International airport and hotels around the airport, Lanseria airport, Kempton Park, Boksburg, Edenvale Bedfordview, Midrand, Centurion, Pretoria and Rosebank Gautrain Station etc. We have experience to make your tour memorable. Our tours are offered by Professional experienced Tour guides. LBK Tours is based in Randburg- Johannesburg South Africa. For transportation we use fully insured comfortable air-conditioned Sedans, Mini busses and Coaches. We cater for individuals, Leisure and Corporate groups. Where possible, we can Tailor made Day tours to suit your needs and interests. We have a wide variety of half day and full day tours on offer (Historical/ Cultural tours, Wildlife tours and adventure tours). 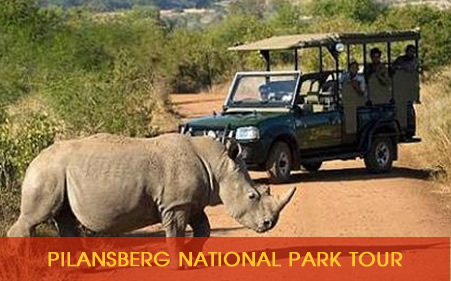 We also offer Overnight tour packages to Pilanesberg National Park and Kruger National Park. We pick up and drop off at your address around Johannesburg, Johannesburg Central, South, North, Sandton, Rosebank, Fourways, Roodepoort, Alberton, Germiston, OR Tambo International Airport and hotels around the airport, Lanseria airport, Kempton Park, Boksburg, Edenvale Bedfordview, Midrand, Centurion, Pretoria and Rosebank Gautrain Station etc.